Knees are one of the most important joints of our body, responsible for building flexibility, stability and body balance. Muscles around the knee joints need to be worked out regularly so that they are well toned, relaxed and offer improved circulation. If the knee joint muscles are weak, you might lose stability, balance and the ability to workout for many hours. Conditioning exercises for the knees help in building strong joint muscles, improve circulation and knee strength which is much required for better performance. This is an effective knee conditioning exercise which helps in improving strength and flexibility of the muscles. Start the workout by lying down on your back. Keep your knees bent at a 90-degree angle. Your feet shall be on floor. You need to tighten the buttocks, as you slowly move your bottom up from the floor. Your body needs to move up the floor as high as you are able to. You should not arch your back, your hips, knees and shoulders. They need to be in an aligned position. Stay in this position, as you slowly extend a leg up while your knees are kept aligned. Stay in this position for at least 3-5 seconds. You can repeat the exercise on your other side. You need to repeat at least 15-25 sides on each side. Start the exercise as you face away from wall. 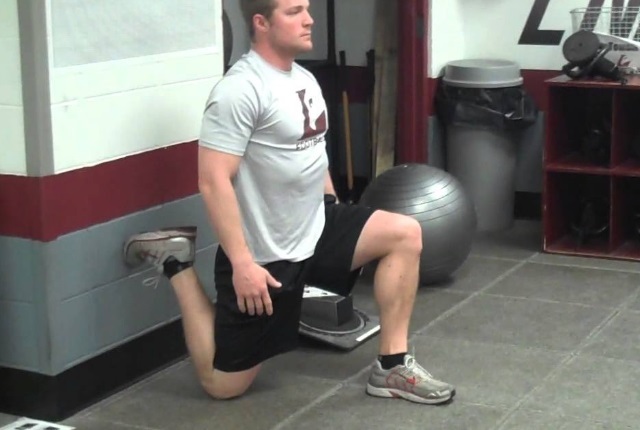 You need to be in a lunge position. You will again flip the back foot up and move it against this wall. Your toes shall be on the surface of wall. The back of your knees shall be an axis point. This helps in determining the stretch you shall get as you workout. If your knee is close to the wall, the more it shall be stretched. If you wish to make your exercise a bit more challenging and adventurous, you can easily stretch the hip flexors out. You need to focus well on pushing your hips forwards. You need to repeat this workout at least 6-8 times as you begin exercising. This is an easy exercise which helps in toning your muscles slowly and effectively. You need to hold a chair or any stable surface. Your knees shall be positioned a little distance apart. They need to be pointed forward. You will bend your hips and the knees slight just as you would sit on a chair. You can again stand up slowly in this position. Repeat this exercise at least 10-12 times. It will help in improving your knee muscles flexibility, improve blood circulation and condition the joint muscles effectively. This is a simple exercise which will help in conditioning the knee muscles and builds strength. You need to step a bit forward and then lunge down. You will then move your back foot a little forward and then swing it just in front of you. You will be lunging it with your leg. You need to continue lunging forward as you alternate the legs. You need to repeat at least 15 times. Complete three sets as you count from the right and left together. This shall be counted as repetition. Foam rolling can be used for this workout. Fitness freaks can use this tool for their hips. Shins are tough to workout. 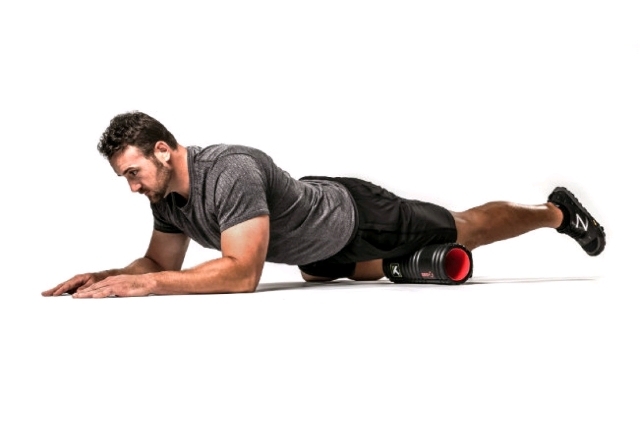 You need to get in a pushup position, as the roller is just at the base of ankles. You will turn the toes towards the mid of the body. This shall expose the shin. You will again press the shins firmly on this roller. You can slowly move up close to the knee. You will be able to control the pressure in such a position. If you wish to have a more intensity or make the routine more challenging, you can lay the body weight in the foam. Do this workout for 45 seconds to 1 minute at a time. You need to stand in a comfortable position, with your back against a wall. Your feet shall be shoulder distance apart. 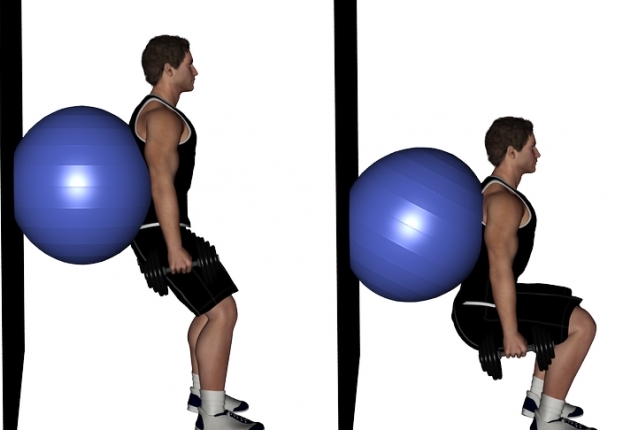 You will hold a small ball, about the size of a soccer ball just between the knees. You can slide it down the wall slowly by bending the knees. You can lower your body. Your knees shall be forming a right angle, as the quads are parallel to the ground. Your shins will be totally perpendicular to the ground in this position. Stay in this position for at least 10 seconds. You can then get back to the start position. You can repeat at least 10 times.